With more than two decades of experience guiding in the Nahuel Huapi National Park we still want to push ourselves from the coast to share each new trip through the crystalline waters of the lake. Lake Nahuel Huapí is one of the most attractive places to go kayak in Bariloche with its intense blue waters, its islands and a unique landscape that makes it the most visited destinations. Pura Vida Patagonia offers you the best options in kayak Bariloche. We make daily trips in Lake Gutiérrez a privileged place surrounded by a native forest of coihues, waterfalls, and wild flowers that can be seen along the entire shore. 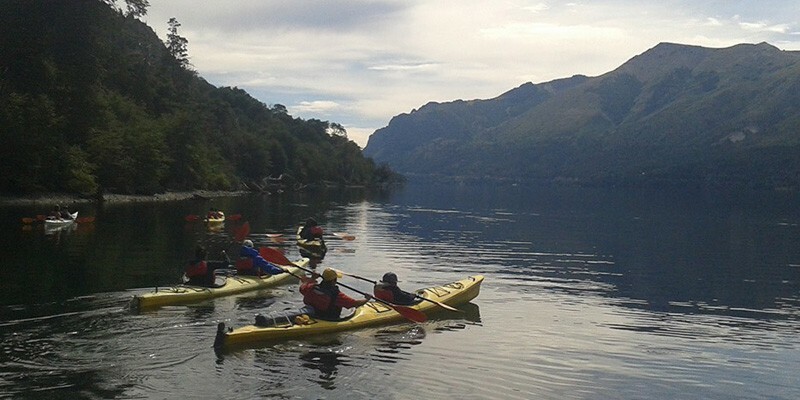 Inside the National Park are experts in kayak Bariloche that with great professionalism and high level equipment will accompany us on the journey that will start through the bay of the lake. Request advice on kayak in Bariloche at info@puravidapatagonia.com or complete the form.